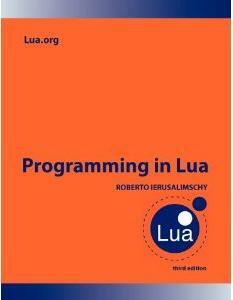 "basic Lua library>" should be "basic Lua library." "Write a function integral that receives a function f and returns its definite integral function. This returned function, when given two values a and b, returns an approximation of the integral of f from a to b"
"As we already mentioned, linked lists are not frequent in Lua, but sometimes we need them." However, the book did not mention linked lists before this point. "We can load it whit" should be "We can load it with"
The word "Memoize" (instead of "Memorize") is used on purpose, to refer to the term "Memoization" (which means "Memorization", but it is already established). "anchors it" should be "anchor it"
"make the finalizer creates" should be "make the finalizer create"
There is a missing closing parenthesis in the print statement. "multi-line sequences" should be "multi-byte sequences"
Contrary to what the book says, io.lines cannot accept a file handle as its first argument. 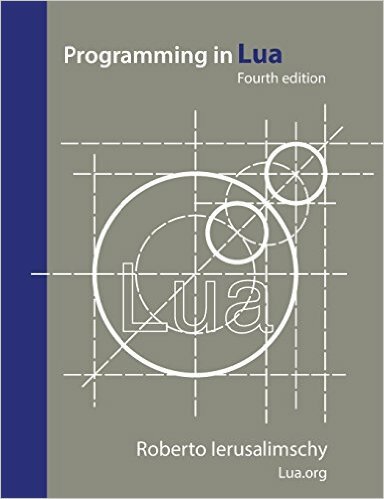 The observation "as long as the pattern does not contain a zero byte" does not apply to Lua 5.2. Lua 5.2 handles zero bytes in patterns without problems. There are a few errors in the code for the library lproc described in this section: a few missing #includes and the use of two deprecated entities, luaL_reg and luaL_register. See the correct code for the complete example. See this page for the errata for the printed version. All corrections listed in the errata have been made in the online version.